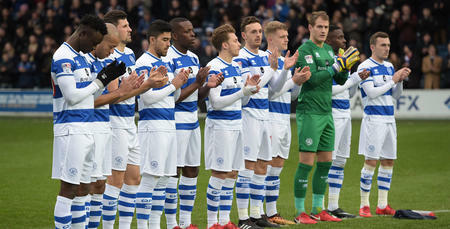 IDRISSA Sylla’s 75th-minute strike earned QPR a 1-0 victory over Bristol City – and moved Rangers to within a point of the sixth-placed Robins. Jimmy Floyd Hasselbaink’s charges – who also extended their unbeaten run in the Championship to five matches in the process – were certainly worthy of the win on the basis of their second-half showing. The crucial goal arrived as Tjaronn Chery and Mass Luongo combined for the latter to feed Sylla, who prodded home at close range past a helpless Frank Fielding. Rangers manager Hasselbaink made some five changes to his side, one of them enforced, following Saturday’s home draw with Reading. 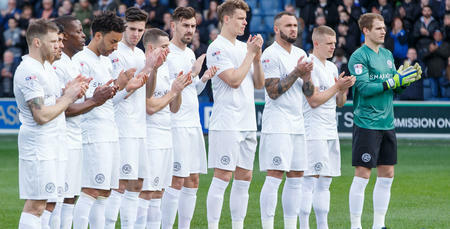 Grant Hall missed out altogether due to the thigh injury he picked up against the Royals, while Karl Henry, Pawel Wszolek, Olamide Shodipo and Seb Polter all dropped down to the substitutes’ bench. So in came Steven Caulker, Luongo, Jordan Cousins, Conor Washington and Sylla. Bristol City were able to boast one of the division’s top scorers in their starting line-up in on loan Chelsea striker Tammy Abraham. And there was also a place in the first XI for former R’s midfielder Gary O’Neil. After play got underway, Rangers’ Caulker had to produce an important intervention in only the sixth minute. Hoops skipper Nedum Onuoha was caught in possession by Lee Tomlin. From the left, the Robins playmaker then looked to roll the ball across the box for a free Abraham – but Caulker slid in brilliantly to avert the danger. QPR had a good chance of their own two minutes later as Sylla met Chery’s left-flank corner, though he could only head over. Sylla was involved again in the 16th minute. His flick enabled Luongo to run onto the ball before driving at goal from 16 yards, but visiting goalkeeper Fielding stood firm to beat the effort away. After forcing five corners in the first 21 minutes, Rangers were probably now on top. In the 22nd minute, another R’s attack saw Luongo burst down the middle and into the box. It took a fine tackle from Adam Matthews to stop him, as the Aussie looked to get a shot away. Four minutes later, Hoops custodian Alex Smithies was forced into the save of the match yet to keep the Robins out at the other end. Tomlin dispossessed Chery before shooting low from the edge of the box. And Smithies got down brilliantly to turn the ball around his bottom left-hand post. Rangers were dealt a blow just after the half-hour mark. Joel Lynch was forced off after an innocuous-looking challenge, so youngster Niko Hamalainen was introduced at left-back for his home league debut. The hosts twice went close just two minutes later. First, Cousins’ low ball from the right somehow darted across the face of goal without a touch, before Ariel Borysiuk’s long-range blast fizzed only inches wide of the target after deflecting off O’Neil. City missed the chance of the half just seconds before the interval. Smithies was left rooted to the spot as an unmarked Abraham left fly from the edge of the penalty area but, fortunately, the Robins striker’s thunderbolt flew marginally past the post. Ultimately, the first period would end without a goal, but it was a lively half – and one that certainly wouldn’t have dissatisfied R’s boss Hasselbaink. City ‘keeper Fielding fashioned a smart low stop in the 50th minute. Luongo and Chery combined before the latter made space for himself with some neat footwork. Thereafter, the Dutchman crashed an effort towards goal from 20 yards but it was beaten away well by Fielding. 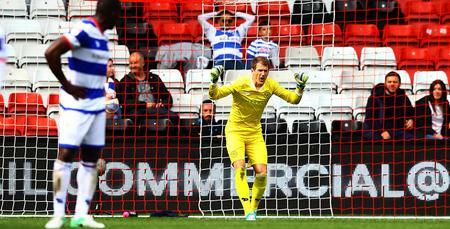 Further tough luck with injuries meant that QPR were forced into a second sub in the 53rd minute. Cousins made way for Ben Gladwin, who was on loan at Bristol City last season. Rangers went ever so close just two minutes later. Washington’s deflected effort crashed off the crossbar, before the ball trickled out for a corner kick. When hour mark arrived, QPR had enjoyed more possession in all but the contest was now finely balanced. Rangers’ Washington went close again in the 66th minute, as the Northern Irishman shot just past the upright following Hamalainen’s ball down the right channel. Soon after, meanwhile, Caulker headed straight at Fielding following Chery’s corner. But the visitors should have taken the lead on the counter attack in the 73rd minute. QPR had Smithies to thank for a simply stunning reaction save from Bobby Reid, who was slipped in by Tomlin when the Robins broke at pace on the counter attack. City were left cursing that miss when the home side took the lead only two minutes later. In a swift R’s move, Chery found Luongo on the right who in turn picked out Sylla in the box – and the Guinea international slid to finish well past Fielding. 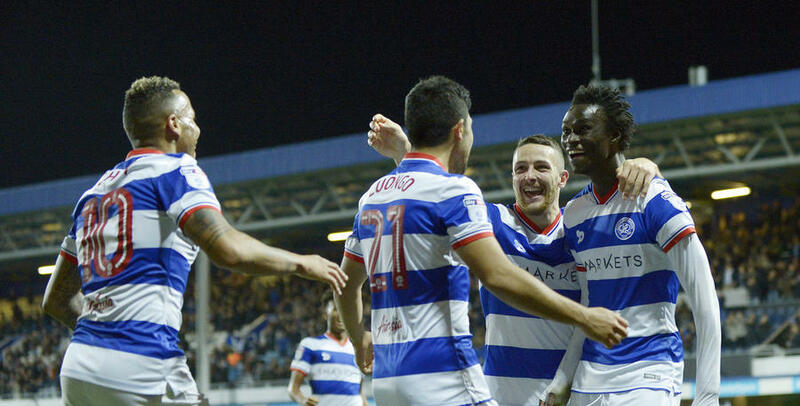 Relief all around Loftus Road. Now Rangers had the task of holding onto their lead for the final 15 or so minutes. Thankfully, they managed to do just that. In truth, chances were few and far between thereafter – despite five minutes of added time at the end – as Rangers left the field with their second home Championship win of the campaign. EXTENDED highlights from QPR's Sky Bet Championship match against Bristol City.